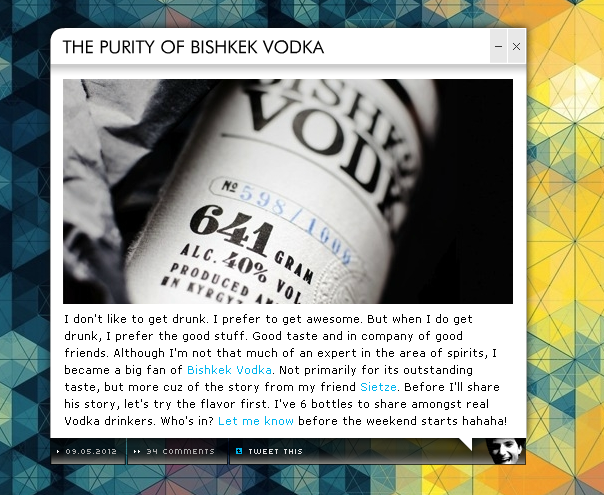 Nalden is giving away 6 bottles! 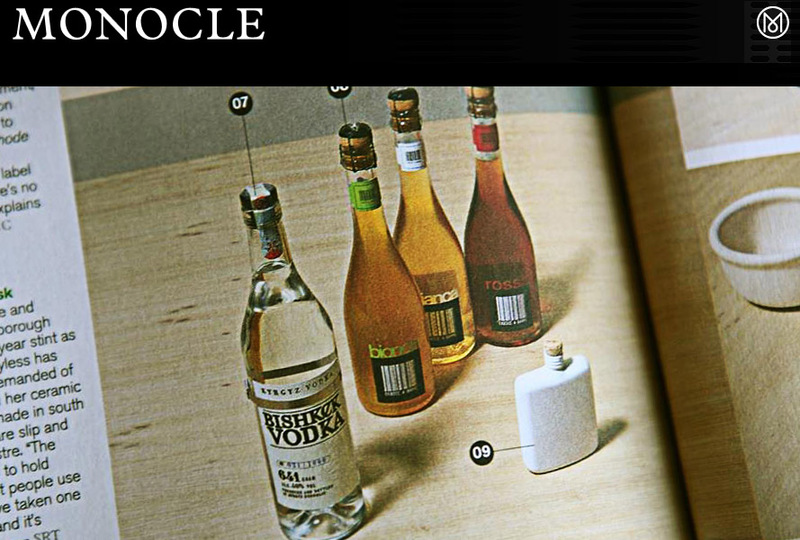 Bishkek Vodka is featured in the new October issue of Monocle. Section: Inventory, Autumn assortment. 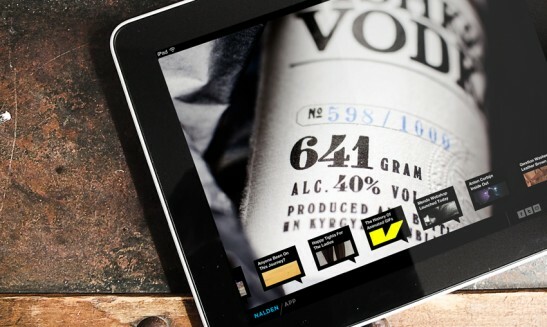 Bishkek Vodka has a featured wallpaper on Nalden.net and the Nalden iPad app for download. 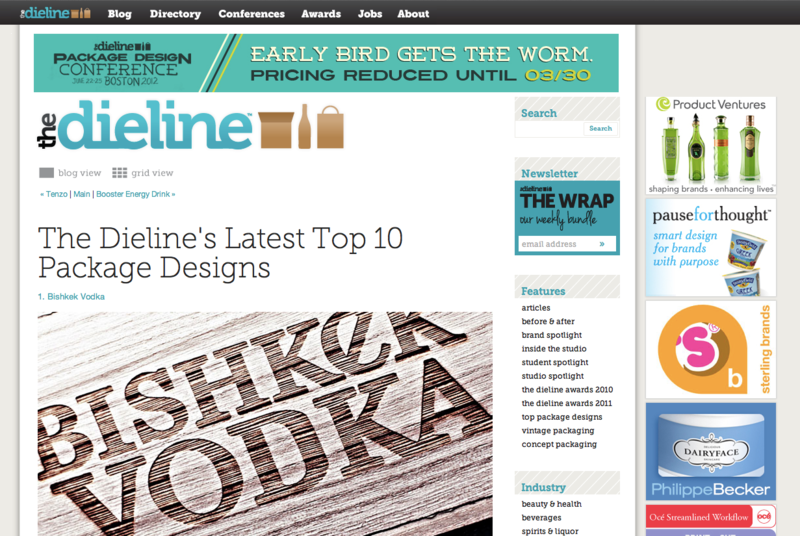 Bishkek Vodka was featured on the Dieline packaging blog, and became #1 in the Top 10 latest posts! 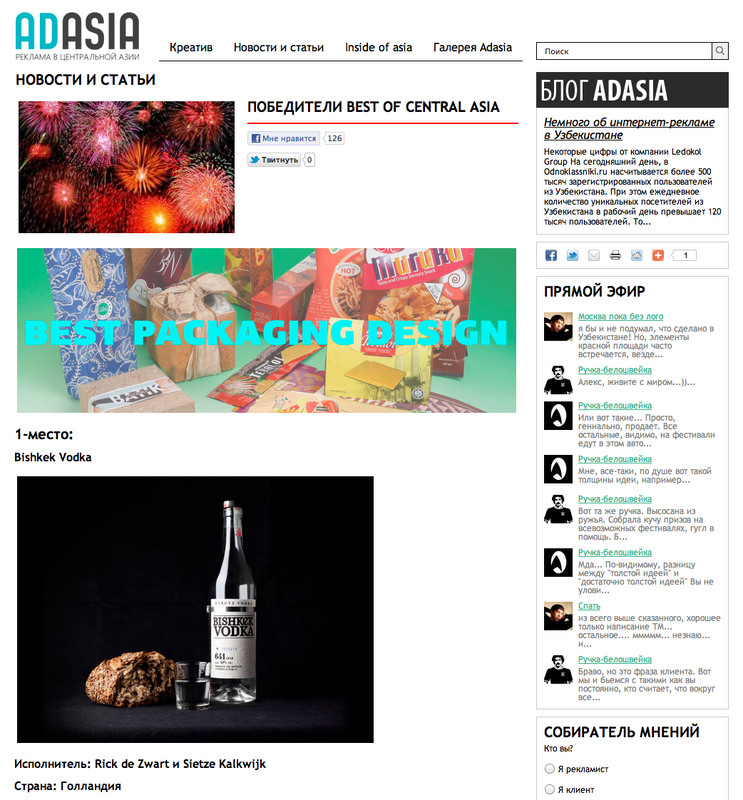 Bishkek Vodka wins 1st place for package design at the AdAsia Best Of Central Asia Awards.